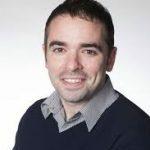 Dr Andrew Harding is an applied social scientist and Senior Research Associate at Lancaster University working on the ESRC/NIHR Neighbourhoods and Dementia programme. His primary role is on work programme 3, which is developing a core outcome set (COS) for non-pharmacological health and social care interventions for people living with dementia located in the community. As part of this study, Andrew has been part of an inter-disciplinary team that has developed an innovative core outcome set methodology in the field of dementia. This has included substantive consultation with people living with dementia in order to develop an accessible Delphi survey.